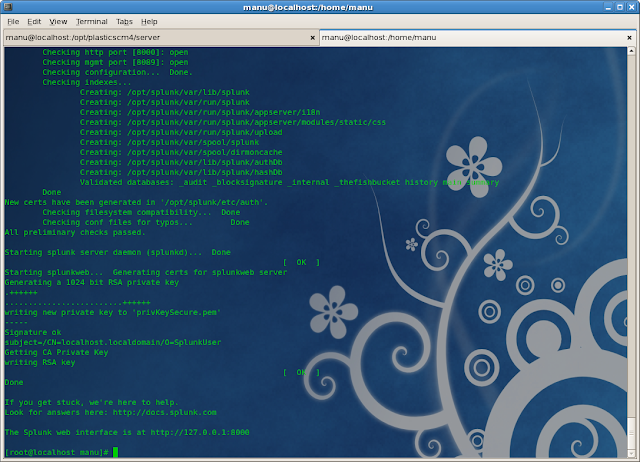 Take a look at the following screenshot. It’s the dashboard of my Splunk installation and is all about having beautiful real-time information about my local Plastic SCM server. Number of requests shown in real time. Top 5 requests sending more data. Top 5 requests receiving more data. Top ten calls hoarding machine time. Historic info of the total number of server requests. When the installation is over, we are ready to start browsing the Splunk portal! The server, by default, is up and running in the 8000 port, ready to start listening for remote data, so let’s start sending some from a Plastic SCM server. We’ll need a Splunk forwarder in order to send the Plastic SCM log to the central Splunk server. The forwarder is in charge of monitoring the new data written in the “ChannelCall.log.txt” file and sending it to Splunk. 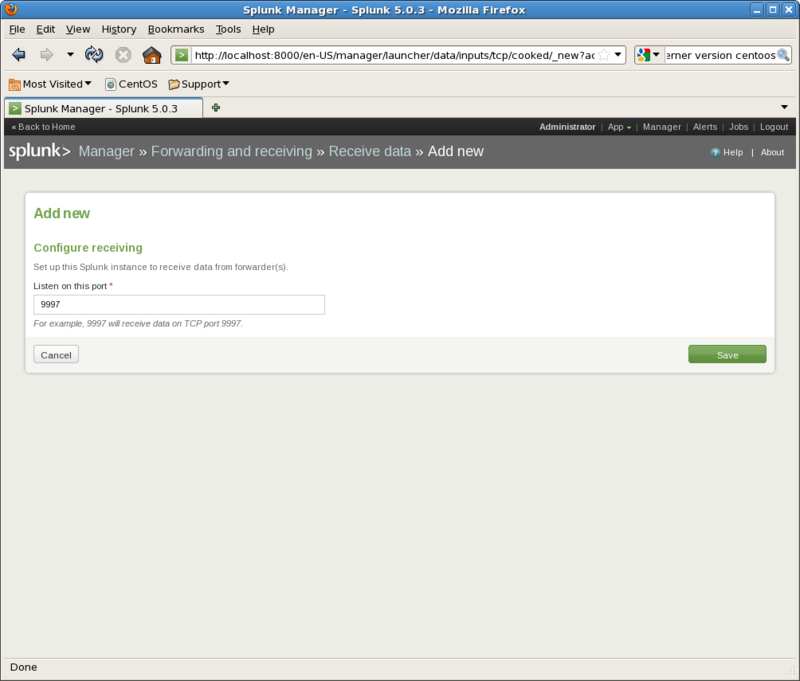 Installing the Splunk forwarder in Linux is as easy as installing the Splunk server; the forwarder is actually a subset of the server! The forwarder can be installed on the same Splunk server machine or in a different one; we are going to install it where the Plastic SCM is installed. You will need to edit small configuration files in order to forward the Plastic SCM log data to the Splunk server. The “/opt/splunkforwarder/etc/system/local/inputs.conf” file contains the name of the forwarding server (will be displayed in the Splunk Server console) and the file that the Splunk forwarding server is going to be monitoring and sending to the Splunk central site. If you are not sure about editing the file on your own you can just download the one above and replace the one you have in the Plastic SCM server directory. Once the “loader.log.conf” is changed and the “inputs.conf” file is configured we are ready to start the Splunk forwarder. The forwarder is started as the regular Splunk server. As we said before the data type we are going to use is called “ChannelCall”, let’s define it in the Splunk server. Create or edit the “props.conf” file you will find in the “/opt/splunk/etc/apps/search” directory. The view is empty by default, so we need to configure the receiving by adding a new listening port. The default port for receiving information from the forwarders is the “9997”. Once the configuration is saved, the Splunk server will immediately start listening for the incoming data. You can review it inside the “Search” application. 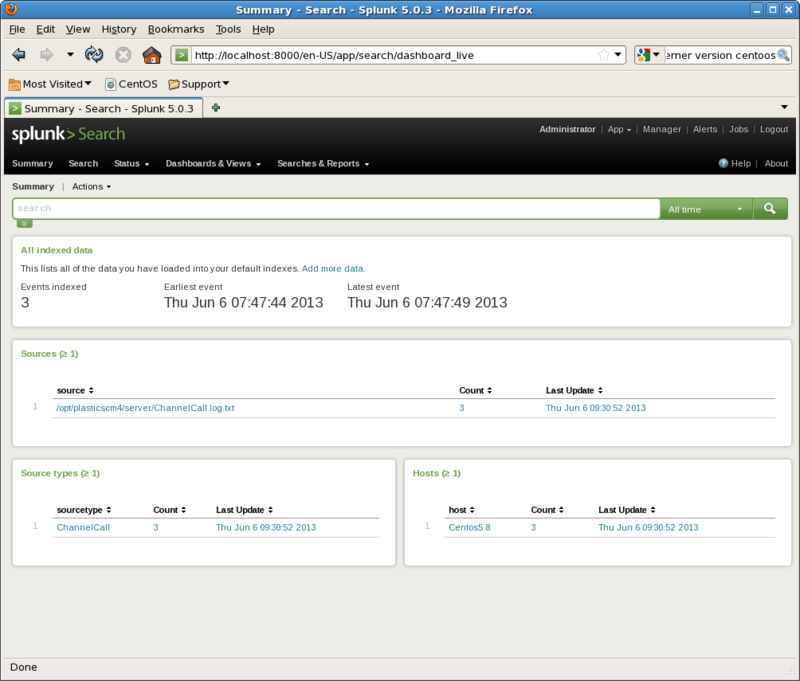 In the image above we can review that 3 events are now parsed by the Splunk server and the type is correctly identified as “ChannelCall”. All the views can be created through the “Search” application view. You can open it by clicking on “App” and then “Search”. The “search” view allows us to create queries from our indexed “ChannelCall” data. The output of the queries can be saved as new dynamic views. All the search results can be presented in a table view or in a graphical mode. Both views are great, but if you want to build a dashboard later with lots of data, then it’s better to use the graphical one. The graphical mode is easier to handle and review. Later, if something needs to be debugged, you can do it by using the table representation. Let’s review a few queries now. 4. Where is the server spending the time? 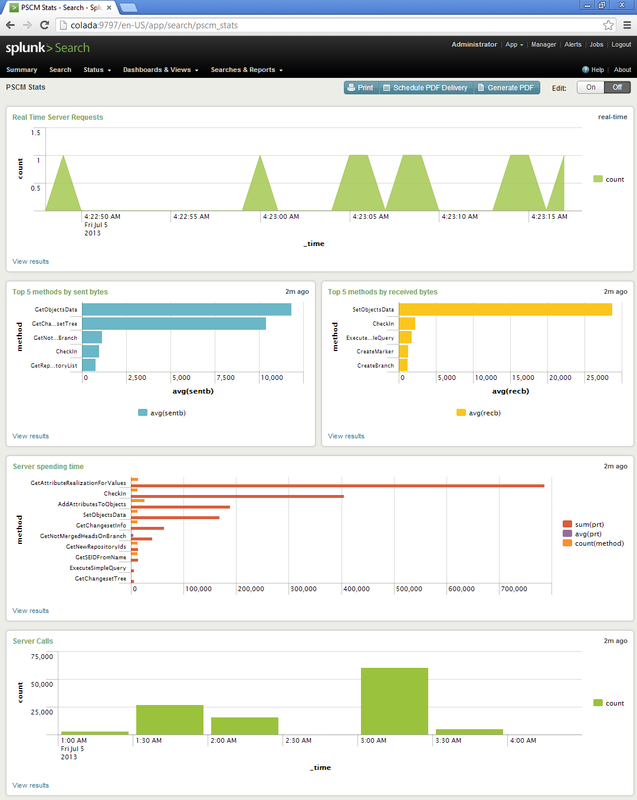 All the views shown in the previous point, and all the created by your own, can be included in a nice Splunk Dashboard. A Plastic SCM dashboard allows you to have a fast overview of the Plastic SCM server status. 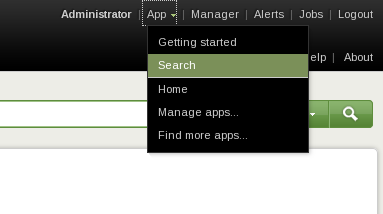 You will need click in the “Create” green button inside the Splunk “Search” view. Then select “Dashboard panel”. Give it a name and click “Next”, If this is your first time you will need to create a new Dashboard panel, if no, you can select an existing one and place the search result there. 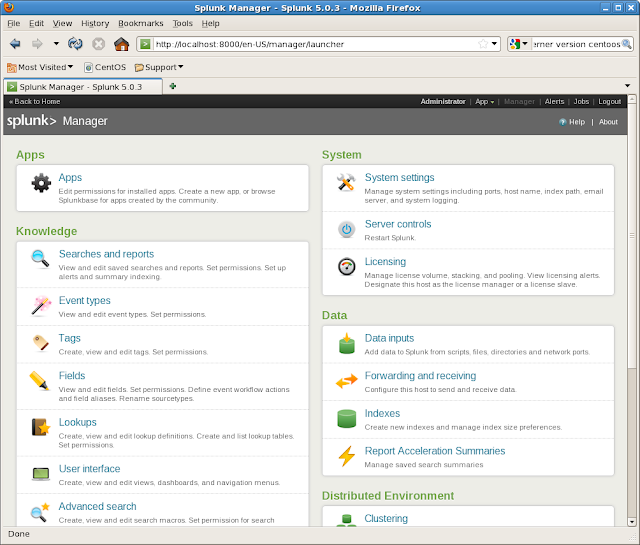 The views inside a Splunk dashboard can be moved and placed around the dashboard area, the drag and drop action will nicely do the bulk of the work. Happy Splunking and share your dashboards!